Israeli pilot payload specialist astronaut 1997-2003. First Israeli astronaut. Perished in Columbia shuttle disintegration during re-entry. Status: Deceased; Active 1997-2003. Born: 1954-06-20. Died: 2003-02-01. Spaceflights: 1 . Total time in space: 15.93 days. Birth Place: Tel Aviv. Born June 20,1954 in Tel Aviv, Israel. Married to Rona. They have four children. He enjoys snow skiing, squash. His parents reside in Beer Sheva, Israel. Graduated from High School in 1972; bachelor of science degree in electronics and computer engineering from the University of Tel Aviv, Israel, in 1987. Yom Kippur War (1973); Peace of Galilee War (1982); F-16 1,000 Flight Hours (1992). In 1974, Ramon graduated as a fighter pilot from the Israel Air Force (IAF) Flight School. From 1974-1976 he participated in A-4 Basic Training and Operations. 1976-1980 was spent in Mirage III-C training and operations. 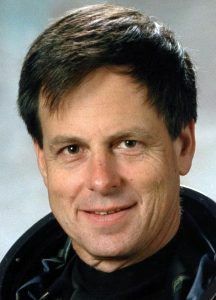 In 1980, as one of the IAF's establishment team of the first F-16 Squadron in Israel, he attended the F-16 Training Course at Hill Air Force Base, Utah. From 1981-1983, he served as the Deputy Squadron Commander B, F-16 Squadron. From 1983-1987, he attended the University of Tel Aviv. From 1988-1990, he served as Deputy Squadron Commander A, F-4 Phantom Squadron. During 1990, he attended the Squadron Commanders Course. From 1990-1992, he served as Squadron Commander, F-16 Squadron. From 1992-1994, he was Head of the Aircraft Branch in the Operations Requirement Department. In 1994, he was promoted to the rank of Colonel and assigned as Head of the Department of Operational Requirement for Weapon Development and Acquisition. He stayed at this post until 1998. Col. Ramon has accumulated over 3,000 flight hours on the A-4, Mirage III-C, and F-4, and over 1,000 flight hours on the F-16. In 1997, Col. Ramon was selected as a Payload Specialist. He is designated to train as prime for a Space Shuttle mission with a payload that includes a multispectral camera for recording desert aerosol. In July 1998, he reported for training at the Johnson Space Center, Houston. Family: Astronaut. Country: Israel. Flights: STS-107. Projects: STS. Agency: IDF. Bibliography: 12, 5918. 1954 June 20 - . Birth of Ilan Ramon - . Nation: Israel. Related Persons: Ramon. Israeli pilot payload specialist astronaut 1997-2003. First Israeli astronaut. Perished in Columbia shuttle disintegration during re-entry. 1 spaceflight, 15.9 days in space. Flew to orbit on STS-107 (2003)..
2003 January 16 - . 2003 January 16 - . 15:39 GMT - . Launch Site: Cape Canaveral. Launch Complex: Cape Canaveral LC39A. LV Family: Shuttle. Launch Vehicle: Space Shuttle. STS-107 - . Call Sign: Columbia. Crew: Anderson, Brown, David, Chawla, Clark, Husband, McCool, Ramon. Payload: Columbia F28 / Spacehab. Mass: 115,900 kg (255,500 lb). Nation: USA. Related Persons: Anderson, Brown, David, Chawla, Clark, Husband, McCool, Ramon. Agency: NASA. Manufacturer: Boeing. Program: STS. Class: Manned. Type: Manned spaceplane. Flight: STS-107. Spacecraft Bus: Shuttle. Spacecraft: Columbia. Duration: 15.94 days. Decay Date: 2003-02-01 . USAF Sat Cat: 27647 . COSPAR: 2003-003A. Apogee: 276 km (171 mi). Perigee: 263 km (163 mi). Inclination: 39.00 deg. Period: 89.90 min. The last solo shuttle earth orbit mission ended in tragedy when the shuttle Columbia disintegrated during re-entry at an altitude of 63.15 km and a speed of Mach 18. Launch delayed from May 23, June 27, July 11 and 19, November 29, 2002..
2003 January 17 - . 2003 January 18 - . STS-107 MCC Status Report #04 - . Nation: USA. Related Persons: Anderson, Bowersox, Brown, David, Budarin, Chawla, Clark, Husband, McCool, Pettit, Ramon. Program: ISS. Flight: STS-107, STS-113 ISS EO-6. 2003 January 19 - . 2003 January 20 - . STS-107 MCC Status Report #06 - . Nation: USA. Related Persons: Anderson, Bowersox, Brown, David, Budarin, Chawla, Clark, Husband, McCool, Pettit, Ramon, Ross. Program: ISS. Flight: STS-107, STS-113 ISS EO-6. 2003 January 21 - . 2003 January 22 - . STS-107 MCC Status Report #08 - . Nation: USA. Related Persons: Anderson, Brown, David, Chawla, Clark, Husband, McCool, Ramon. Program: ISS. Flight: STS-107, STS-113 ISS EO-6. 2003 January 23 - . 2003 January 24 - . 2003 January 25 - . STS-107 MCC Status Report #11 - . Nation: USA. Related Persons: Anderson, Bowersox, Brown, David, Budarin, Chawla, Clark, Husband, McCool, Pettit, Ramon, Tani. Program: ISS. Flight: STS-107, STS-113 ISS EO-6. 2003 January 26 - . 2003 January 27 - . 2003 January 28 - . STS-107 MCC Status Report #14 - . Nation: USA. Related Persons: Anderson, Brown, David, Chawla, Clark, Husband, McCool, Ramon. Program: ISS. Flight: STS-107, STS-113 ISS EO-6. 2003 January 29 - . 2003 January 30 - . 2003 January 31 - . 2003 February 1 - . Loss of STS-107 - . Return Crew: Anderson, Brown, David, Chawla, Clark, Husband, McCool, Ramon. Nation: USA. Related Persons: Anderson, Brown, David, Chawla, Clark, Husband, McCool, Ramon. Program: STS. Flight: STS-107. The shuttle Columbia disintegrated over Texas during re-entry at an altitude of 63.15 km and a speed of Mach 18. All hands aboard were lost. The loss grounded the shuttle fleet pending a failure investigation and left the crew of Bowersox, Pettit and Budarin aboard the International Space Station with a Soyuz emergency return vehicle but without means of major station resupply. Death of Ilan Ramon. - . Related Persons: Ramon. Israeli pilot payload specialist astronaut 1997-2003. First Israeli astronaut. Perished in Columbia shuttle disintegration during re-entry. 1 spaceflight, 15.9 days in space. Flew to orbit on STS-107 (2003)..
2003 February 2 - . STS-107 MCC Status Report #20 - . Nation: USA. Related Persons: Anderson, Bowersox, Brown, David, Budarin, Cabana, Chawla, Clark, Husband, McCool, Pettit, Ramon. Program: ISS. Flight: STS-107, STS-113 ISS EO-6. 2003 February 3 - . 2003 February 4 - . STS-107 MCC Status Report #22 - . Nation: USA. Related Persons: Anderson, Bowersox, Brown, David, Budarin, Chawla, Clark, Husband, McCool, Pettit, Ramon. Program: ISS. Flight: STS-113 ISS EO-6.